Ambassador Lunch is the last Tuesday of every month at a different member restaurant. Our Ambassadors are a dynamic group of business people and professionals, & are one of the greatest assets of our Chamber. They truly are the face of the Chamber. These dedicated members are fully committed to the advancement of community based businesses. Ambassadors will participate in Chamber events, ribbon cuttings, & help orchestrate membership campaigns. They will also help welcome new members to the Chamber. 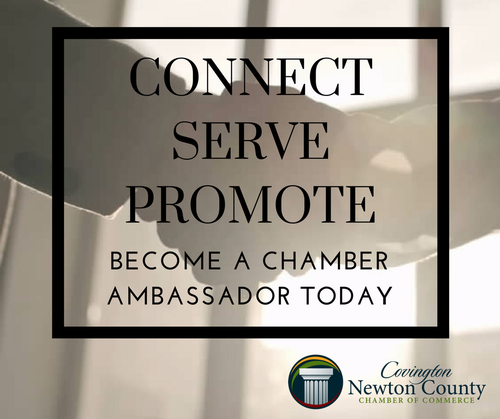 Why would you want to be a Covington/Newton Chamber Ambassador? ?